An Indian wedding is one the dreamiest celebration as it is one of the most special days of someone’s life. The whole week celebration with all and near and dear ones requires a lot of planning and execution. The initial planning starts with the finalizing of the venue as it is the place where the whole celebration will be going to take place. Thus, it is also one of the most crucial decisions that require too many things to be considered before booking it. 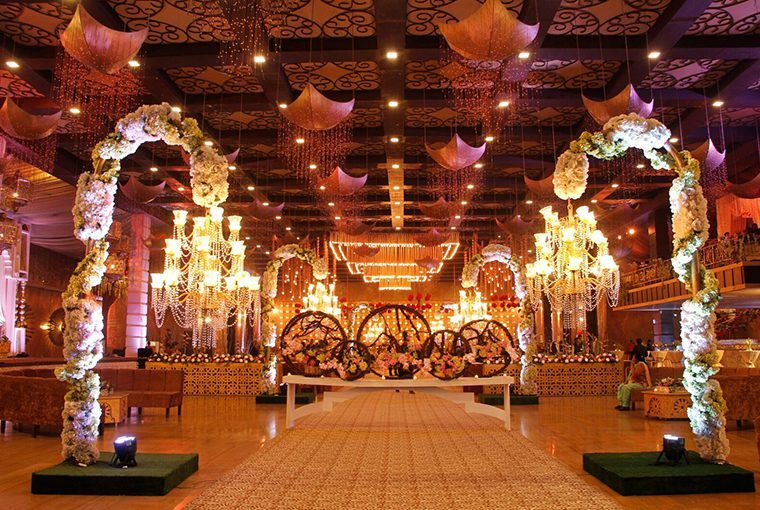 The wedding venue can be one of the banquet halls, farmhouse or a five-star hotel and you must need multiple venues for different functions. The type of venue should match your vision so that it can be adorned the way you wanted. If you want a low key or an intimate and low-affair, just surrounded by close friends and family then you can go for a smaller venue which can be decorated in the most surreal way. It becomes really easy to go venue hunting when you have a tentative number of guests in your mind. You are the one who makes the guest list and knowing how many guests you’re expecting to invite before you go looking at venues will help save you from headaches and heartaches down the road while booking. When it comes to planning a wedding, the budget is not a fun or glamorous part of it, but it is crucial for all your other decisions. Every other aspect of the wedding depends on your decided budget. Once you set a budget for your venue to try and stick to it so that everything you decide falls into place. The other factors that you should keep in mind the inclusions you are being offered with the price, the location of the venue which should be feasible and most importantly the time of the wedding as in the season as well as is it a day or night wedding. Pro tip: Start looking for a venue at least more than six months before the date of the wedding so that you don’t need to compromise on your desired location.